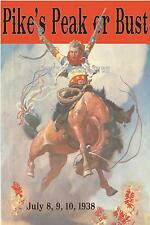 Rodeo and cowgirl prints and cards that celebrate the old West. Please add us to your favorite sellers and take a look at all of the western, cowboy, cowgirl and rodeo items that we offer. Thank you for taking a look at Lucky Stars Ranch. Made in Texas - by Texans where quality is guaranteed!